An extended full bench of the Supreme Court comprising of five judges including the Chief Justice Cholendra Shamsher Rana after listing the case regarding taxation of Ncell at least 14 times for hearing announced its verdict through a written order this week. The judgment, though not devoid of reasoning, has placed reliance solely on Section 57(1) of the Income Tax to impose tax liability on Ncell and its current the largest indirect owner the Axiata Berhard Malaysia. Ncell in its subsequent press release has stated that the Axiata Group Berhard was not party to the dispute decided by the Supreme Court, and that it is further reviewing the decision without prejudice to its remedial rights. This is considered non-appealable or open to review because it is the decision of an extended full bench of the Supreme Court. The most important issue for the court to resolve was the tax implication in Nepal arising due to the sale of shares that consummated in St Kitts & Nevis, a nation famously recognised as a tax haven. The ownership (shareholders) of Reynolds Holdings incorporated in St Kitts & Nevis and holding majority shares of Ncell was changed from ‘Telia Sonera Norway Holdings’ to ‘Axiata Investment Limited’ (a company incorporated in the UK) under a Share Purchase Agreement executed outside Nepal. ‘Telia Sonera Norway Holdings’ as per the Supreme Court decision is ultimately owned by ‘Telia Sonera Sweden’ and ‘Axiata Investment Limited’ is conduit company of ‘Axiata Berhard Malaysia’. Section 57(1) of the Income Tax Act applies in situations where there is change of underlying ownership of 50% or more of an entity compared to its ownership in the last three years. The Supreme Court after carefully interpreting each of these following expressions in Section 57(1) ‘entity’, ‘asset’ and ‘ownership’ comes to conclusion that Ncell is the ‘entity’, the license to provide telecommunication service the ‘asset’ and ownership change from ‘Telia Sonera Sweden’ to ‘Axiata Berhard Malaysia’ as disposing of underlying assets of Ncell. Since there has been disposal of assets, the Supreme Court further adds that, the gains should be taxed at 15% in accordance with Section 95A(2)(b) of the Income Tax Act and that the tax must be paid by Ncell and Axiata Berhard Malaysia. The Supreme Court has directed the Large Taxpayers Office (LTO) to determine the exact tax amount within three months but has not clearly set a timeline for the payment of the outstanding tax liability for Ncell and Axiata Berhard Malaysia. The outstanding tax liability, in addition to Rs21 billion that Ncell has already paid before the LTO, can only be determined after tax assessment by LTO. 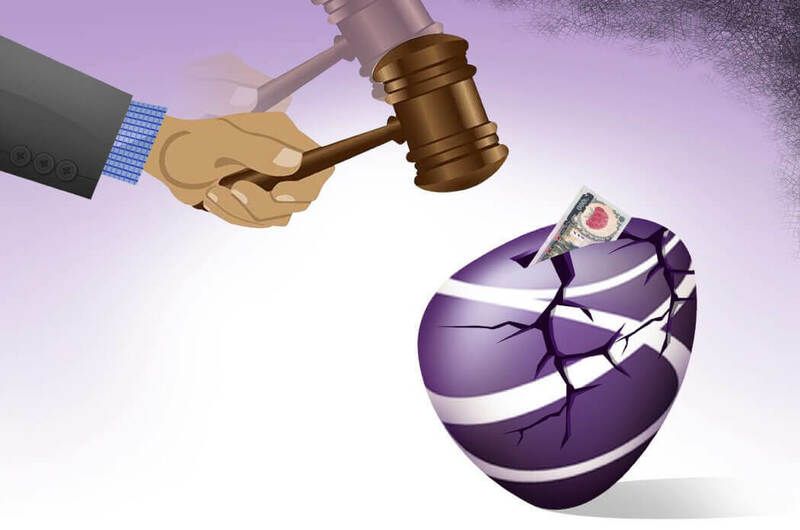 On Tuesday, the LTO ordered Ncell to pay additional of Rs39 billion in taxes by 22 April. The decision of the Supreme Court, even though a pronounced assertion to ensure taxation of offshore transaction in Nepal has relied on Section 57(1) with marked intention to impose tax liability on Ncell, but it has left more questions unanswered than it settles. There are few questions an investor especially a foreign investor would seek more clarity. Will Section 57(1) get attracted even in cases where the change of shareholding by selling of shares is less than 50%? What if the period of change of ownership is more than three years? Will the Company which shares are being transferred be held liable to pay tax even in situation where the seller pays the capital gains tax? Most important of all, will share sale transactions occurring outside Nepal having the effect of changing of ownership of Company in Nepal be taxed? Or lastly, will the taxation in Nepal of an offshore transaction be pursued under certain prescribed criteria? During the entire episode of taxation of Ncell, neither the government nor Parliament took any substantive measures to reform laws to establish the principles and criteria of taxing an offshore transaction having implication in Nepal. Further, the evident wavering position of government added to the conundrum. This is appalling especially in light of entered Bilateral Investment Treaties which require Nepal to provide fair and equitable treatment to foreign investors. Nepal has such a Treaty with the UK and one of the current indirect shareholders of Ncell Axiata Investment Limited is a company incorporated in the UK. The Foreign Investment and Technology Transfer Act, 2019 only imposes a notification obligation to notify the share transfer or sale of foreign investment company occurring outside Nepal. A judicial remedy on taxation matters creates uncertainty and unpredictability about its implication on future offshore transaction and therefore it is time for the government and Parliament to take steps to pass legislative enactments that are predictable and follow established principles to cover offshore transactions. An opportunity is forthcoming. The Finance Act 2019 to be promulgated in June can make amendments to the Income Tax Act. Semanta Dahal is an advocate.